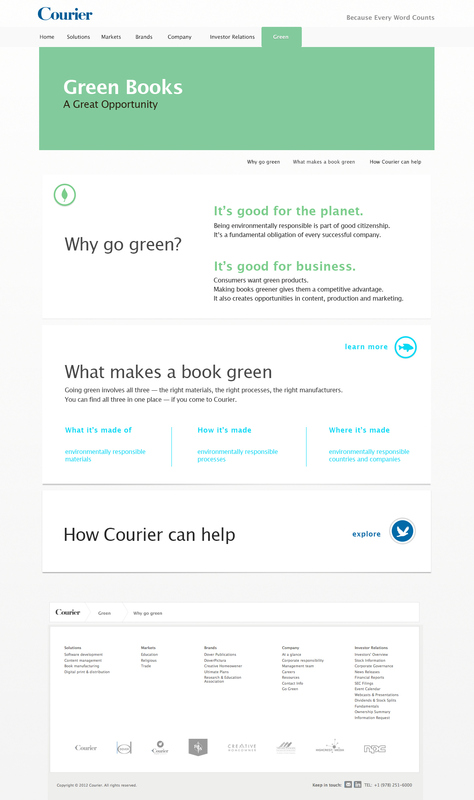 Courier Publishing is a national leading book manufacturer. 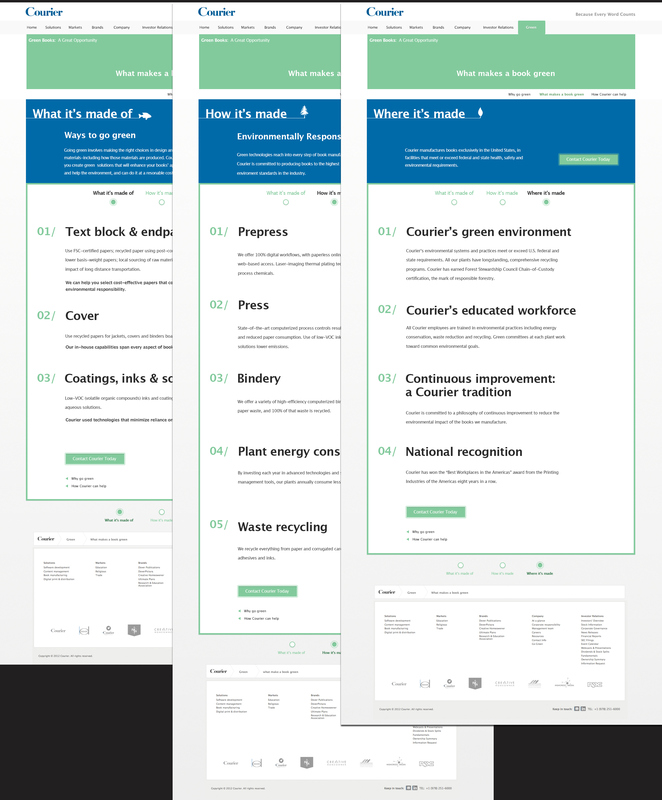 While it takes lead in environmentally conscious in business practise, it deserves a great website to visually convey the message. With this in mind, efforts are made when designing the pages to draw visitors' attention to take time to read the content, and to enjoy reading.